Originally from Minneapolis, MN, I was ordained by the Reconstructionist Rabbinical College in Pennsylvania in 1985, and that same year received a Master’s degree in Pastoral Counseling from LaSalle University. I have had a wonderfully varied career serving in rabbinic, pastoral and chaplaincy positions in many settings. I have been honored to study with wonderful teachers and colleagues, among them Rabbi Zalman Schachter-Shalomi,z’l, Rabbi Rebecca Alpert, Rabbi Sheila Weinberg, Rabbi Shefa Gold, Sylvia Boorstein, my parents, Ruth F. Brin, z’l, Howard Brin, z’l, Dr. Judith Plaskow and the members of B’not Esh, a Jewish feminist spirituality collective founded in 1981. I was among the first 100 women to be ordained as a rabbi in the United States. I led the first women’s prayer service at the Wall in Jerusalem, in 1988, and it was because of what we did that day that the Israeli government made it illegal for a woman to sing aloud, wear a tallis (prayer shawl) or read from the Torah at the Wall. More than thirty years later, the Israeli government and Women of the Wall are still trying to work out a satisfactory way for women to pray, sing, wear a tallis and read from the Torah at the Wall. 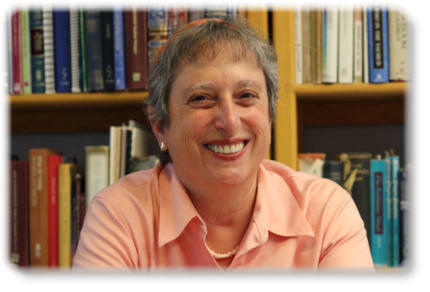 Among the first generation of lesbian rabbis, I have served congregations in Canada and the U.S. and have held chaplaincy positions at a college, a hospice, and at a Jewish life-care retirement community. Wherever I have gone and however I have been employed, my dedication to Judaism is contagious. I help Jews find their own gateways back to their heritage and welcome their non-Jewish partners, friends and extended family with friendly explanations of our ways. I now work full time as a geriatric care manager. My hours of availability are subject to the demands of my job. But, for the first time in a very long while, I am not required to work on Shabbat and I am enjoying the freedom to be in nature more often in our gorgeous New Mexico. Of all the privileges and duties that come with being a rabbi, I feel most at home creating meaningful life cycle events. From baby-namings to funerals and everything in between, it is a privilege to fashion personalized ceremonies for people of all ages, gender identities, and intimacy constellations. Originally from Minneapolis, MN, I was ordained by the Reconstructionist Rabbinical College in Pennsylvania in 1985, and that same year received a Master’s degree in Pastoral Counseling from LaSalle University. I have had a wonderfully varied career serving in rabbinic, pastoral and chaplaincy positions in many settings. I have been honored to study with wonderful teachers and colleagues, among them Rabbi Zalman Schachter-Shalomi,z’l, Rabbi Rebecca Alpert, Rabbi Sheila Weinberg, Rabbi Shefa Gold, Sylvia Boorstein, my parents, Ruth F. Brin, z’l, Howard Brin, z’l, Dr. Judith Plaskow and the members of B’not Esh, a Jewish feminist spirituality collective founded in 1981. I was among the first 100 women to be ordained as a rabbi in the United States. I led the first women’s prayer service at the Wall in Jerusalem, in 1988, and it was because of what we did that day that the Israeli government made it illegal for a woman to sing aloud, wear a tallis (prayer shawl) or read from the Torah at the Wall. More than thirty years later, the Israeli government and Women of the Wall are still trying to work out a satisfactory way for women to pray, sing, wear a tallis and read from the Torah at the Wall. 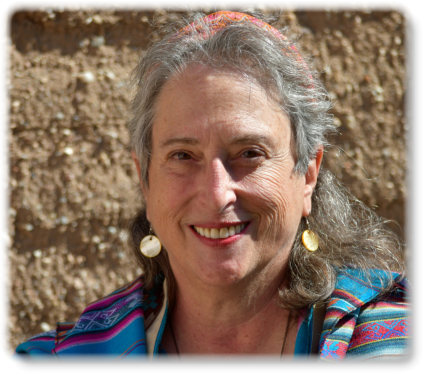 Among the first generation of lesbian rabbis, I have served congregations in Canada and the U.S. and have held chaplaincy positions at a college, a hospice, and at a Jewish life-care retirement community. Wherever I have gone and however I have been employed, my dedication to Judaism is contagious. I help Jews find their own gateways back to their heritage and welcome their non- Jewish partners, friends and extended family with friendly explanations of our ways. I now work full time as a geriatric care manager. My hours of availability are subject to the demands of my job. But, for the first time in a very long while, I am not required to work on Shabbat and I am enjoying the freedom to be in nature more often in our gorgeous New Mexico. Of all the privileges and duties that come with being a rabbi, I feel most at home creating meaningful life cycle events. From baby-namings to funerals and everything in between, it is a privilege to fashion personalized ceremonies for people of all ages, gender identities, and intimacy constellations.